This week I'm in New York City! The place I fell in love with. I have a very limited amount of supplies with me (so far). 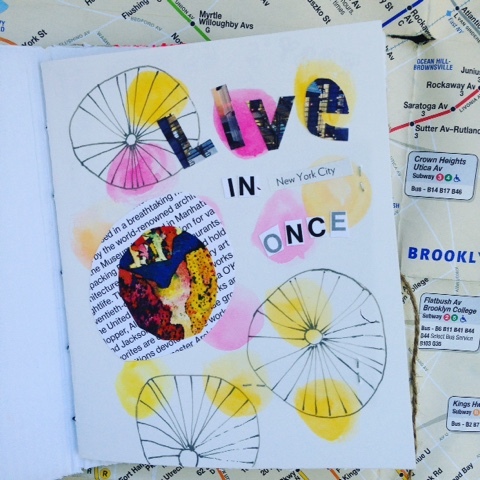 The page I made for Get Messy Artjournal this week is inspired by Baz Luhrmann's quotes about life. Obviously the one I choose resonates the best at the moment ! Of course! And he is right, don't you think?